The Vancouver Symphony Orchestra embarked on a tour to the Southern BC interior, Okanagan, and Fraser Valley, with 5 performances from September 28 through October 3, 2017. Wesbild was the Presenting Sponsor of the Kelowna date. This was the return of the Grammy and Juno award-winning ensemble to the Okanagan region for the first time in over twenty-five years. 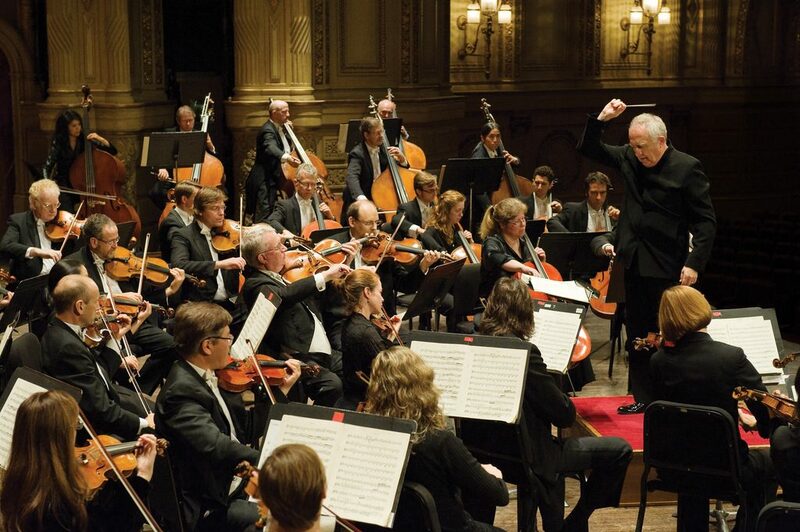 All tour concerts were conducted by VSO Music Director Bramwell Tovey, and featured BC born and internationally acclaimed First Nations mezzo-soprano Marion Newman as soloist. The tour of the BC was in celebration of Canada’s 150th birthday, and comes in the concluding year of Maestro Tovey’s 18 year-tenure as Music Director. The repertoire included Rossini’s William Tell Overture and Tchaikovsky’s Symphony No. 5, as well as a composition written by Maestro Tovey in conjunction with Ms. Newman, who is of Kwagiulth and Stó:lō heritage. Bramwell Tovey’s Ancestral Voices is a setting of four diverse texts which shed light on the impact of Canada’s founding on First Nations. An important part of the VSO’s BC Tour was to develop viable and authentic relationships that build a commitment and appreciation of music in our province. In addition to presenting concerts, the VSO worked with schools and First Nations leaders to deliver insightful educational and community programs. The Vancouver Symphony Orchestra relies on charitable support to help enrich and transform lives through music. Wesbild was pleased to help bring this exciting performance to the Okanagan.